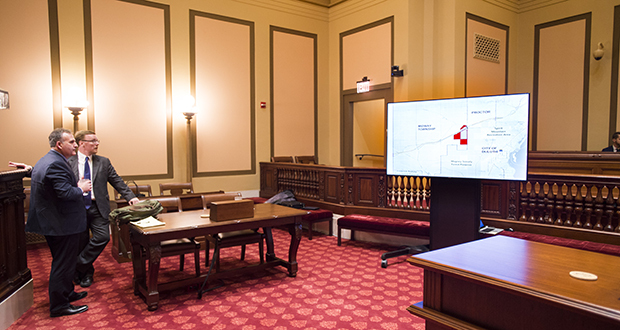 For the first time ever, technology assisted in a Supreme Court oral argument on Wednesday, Oct. 31, and it appeared to be not at all scary. The case, In Re the Matter of the Annexation of Certain Real Property (etc.) was a dispute over whether an orderly annexation agreement pursuant to Minn. Stat. § 414.0325 precludes other methods of annexation of the same property. “X marks the spot where this story begins,” Nathan N. LaCoursiere, assistant city attorney for Duluth, told the court.